A 10-year-old girl reportedly told police that she purposely crashed a truck into a Louisville family's home because she wanted to "kill people." Joshua Pate told WDRB that he had just gotten home Friday afternoon when he heard what sounded like a bomb going off. Sitting in the middle of the family's living room was a pick-up truck. Behind the wheel was a 10-year-old girl, police said. Pate said five children were in the living room when the crash happened, but they were not injured. "The loveseat slid around and made kind of like a barrier," he told the outlet. "The back of (the loveseat) is kind of high and I think the kids just slid with the loveseat." "Everybody was in shock," Pate added. "Everybody's still in shock." 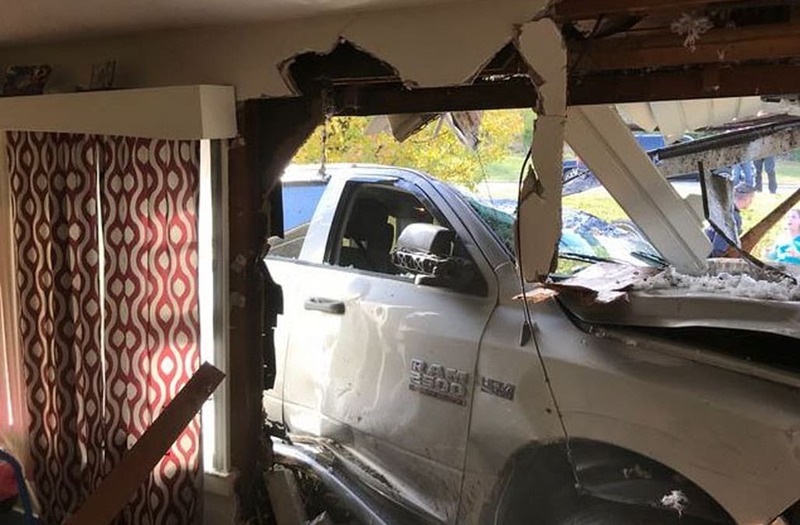 Pate told WDRB that he heard the young driver talking with police after the crash, and she reportedly said she rammed the vehicle into the home on purpose. "(The officer) couldn't believe what she said. He was like, 'Excuse me?' and she said, 'I wanted to kill people,' and he said, 'I'm sorry,' what did you say?' and she said, 'I wanted to kill people,'" Pate told the outlet. Kristina Bryan was driving near the home seconds before the crash when the 10-year-old slammed into her vehicle and then smashed into the house. Bryan told the outlet her car is totaled. "Where was the parents when this little girl even got into the car? How did this little girl even get access to the keys?'" Bryan said. Louisville police reportedly told WAVE that the child got a hold of a family member's keys and took the truck. Pate, who is renting the home, said his family will be displaced for at least a month as the house is fixed. The Red Cross has stepped in to help the family. Pate and Bryan said they are considering taking legal action against the girl's family. "All I want is an apology from the family," he said. "We haven't heard from them and haven't heard from anybody." Police are still investigating and no charges have been filed as of yet.